Callie Thorne at the New York premiere of "Dedication." Callie Thorne at the opening of Energie Miss Sixty store. Callie Thorne at the premiere of "Live Free Or Die Hard." 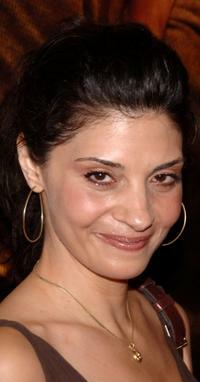 Callie Thorne at the premiere of "Delirious." Callie Thorne at the afterparty of "Watching The Detectives." Callie Thorne at the "A Salute To Our troops" ceremony. Callie Thorne at the private rooftop screening of "Joe Strummer: The Future Is Unwritten." Callie Thorne at the Old Navys Celabration of New Year New Old Navy. Callie Thorne at the premiere of "Watching The Detectives." Callie Thorne at the Christopher Reeve Foundation Annual Gala. Callie Thorne at the premiere of "Rescue Me."